I would categorize the creation of this recipe as total kitchen experimentation. 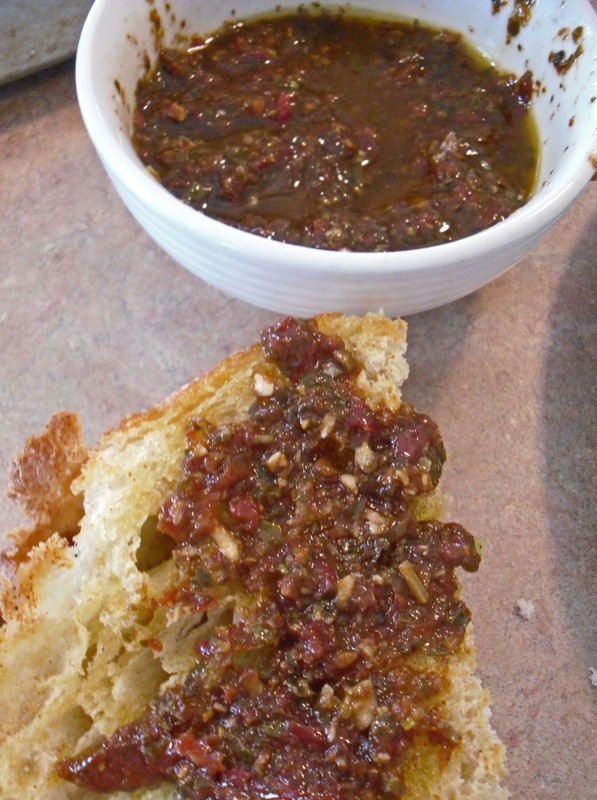 I had some Italian bread that was a day or two away from being thrown out if it wasn't used up so I baked it and threw some ingredients together to create this yummy, tangy pesto to top it off with. I used store-bought pesto to create this recipe but you're welcome to make your favorite classic pesto recipe to use. This is super quick and super easy to make. This recipe only makes a small amount so double, triple, or quadruple it if you're serving it at a party. Combine all ingredients in a mini food processor and puree. Serve in small dish or bowl. Spread on Italian bread or use in a pasta dish.